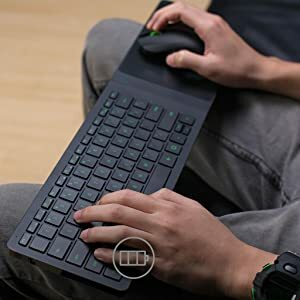 the Razer Turret consists of a fully-fledged PC gaming keyboard with full anti-ghosting and a highly precise ambidextrous gaming mouse with a 3500 DPI sensor The Razer Turret comes with dual wireless connectivity, so whether you're connected to your console via Bluetooth or to your PC via the wireless 2.4 GHz adaptor, you'll be able to play without a hitch The Razer Turret's ergonomic and slim form factor has been made to perfectly fit on your lap. 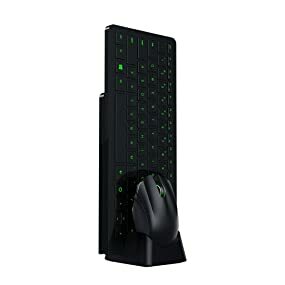 The foldable hinge ensures that the keyboard will be unobtrusive and easily dockable when not in use By supporting up to four months of usage on the keyboard (40 hours of non-stop play on the mouse) you won't have to charge the Razer Turret after every use The integrated magnetic mouse mat ensures that you never have to worry about your mouse slipping off even during the most intense gaming sessions The Razer Turret living room gaming mouse and lapboard is designed to allow gamers to experience PC gaming from the comfort of their couch. 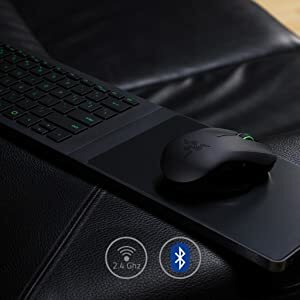 Arm yourself with the Razer Turret, and dominate leaderboards from the comfort of your couch. Battery life of up to 4 months - The life expectancy of this battery depends upon its usage. 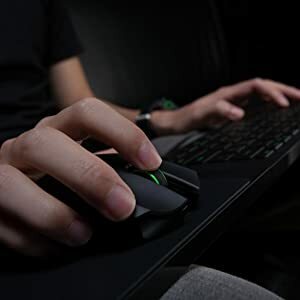 Designed with the single focus of bringing the PC gaming experience right to the couch, the Razer Turret consists of a fully-fledged PC gaming keyboard with full anti-ghosting and a highly precise ambidextrous gaming mouse with a 3500 DPI sensor. 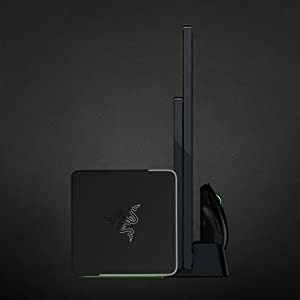 Aimed at elevating your Android TV experience, the Razer Turret is engineered for seamless integration with the Razer Forge TV console using the Remotr app. 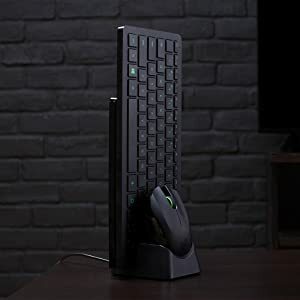 By bringing the unmatched control of PC gaming peripherals into your living room, you can truly immerse yourself in a world where the best of gaming meets the best of entertainment. You can now establish even greater superiority over your opponents in your favorite multiplayer games – amplified by your living room’s big screen. Requires Remotr* to stream PC games to your Razer Forge TV. 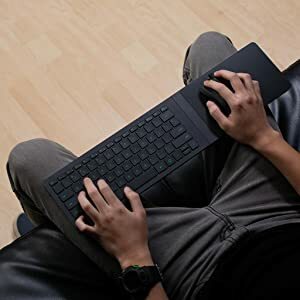 The integrated magnetic mouse mat ensures that you never have to worry about your mouse slipping off even during the most intense gaming sessions.